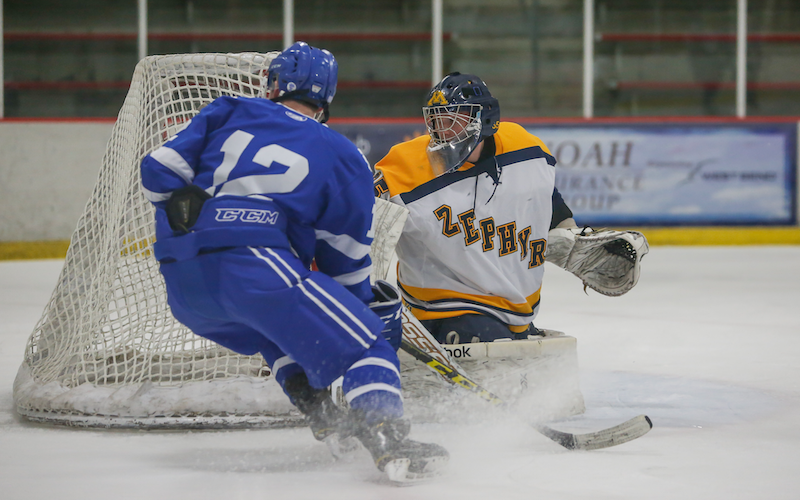 Minnetonka vs. Duluth East, Saturday, Jan. 5, 3 p.m. It’s a rematch of the 2018 Class 2A title game, which Minnetonka won 5-2. However, No. 4-2A Duluth East (7-2-1) won the regular-season matchup 4-2 last season in Minnetonka. This season, the unbeaten No. 1-2A Skippers (12-0) have just one game that was decided by less than three goals. Elk River/Zimmerman vs. Andover, Thursday, Jan. 3, 7:30 p.m. Elk River/Zimmerman (5-7-0, 2-1-0) scored twice late in a 3-2 loss on Dec. 18 at Andover. This rematch against No. 3-2A Andover (9-0-1, 3-0-1) is poised to be key as the Northwest Suburban Conference standings start to take shape. Chisago Lakes vs. North Branch, Saturday, Jan. 5, 7 p.m. Both teams are off to good starts in what looks to be a strong Mississippi 8 Conference. Chisago Lakes’ Thomas Overgaard is tied for 16th in the state in points (24) for the Wildcats (8-5-0, 1-2-0). North Branch (9-2-1, 2-2-0), meanwhile, is one of four teams in the conference with at least seven wins.